Our Festoon Systems are designed to suit various working conditions. N.L. Tucker are the manufacturer and suppliers of registered brand “Flex-IT” festoon systems for round and flat cables. 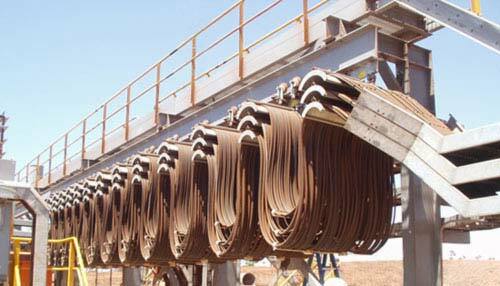 These systems are supplied into mining and industrial applications for moving machinery. N.L. Tucker will design, manufacture the “Flex-It” festoon trolley systems to suit all applications. The “Flex-It” festoon trolley systems cater for small wire ropes systems up to 500kg I-Beam trolley systems. All enquiries are welcome and we offer over 30 years of experience.